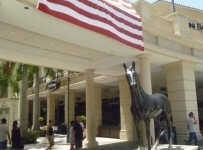 Racing is off the turf on Friday at the Gulfstream Park West meet, which is being run at Calder in Miami Gardens. 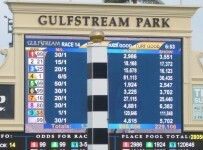 First post is 1:15 p.m. for a nine-race card. Six races were scheduled for turf. They have been moved to the dirt track, which is listed as sloppy and likely will be sealed. Those are the first, second, fourth, sixth, eighth and ninth races. There were periods of heavy rain at Calder overnight, and rain has been falling on-and-off this morning. 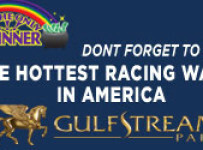 The carryover on the Rainbow 6 is $36,924. It begins on the fourth race, with scheduled post of 2:54 p.m.